Tonight I got home from work and had a brief hour’s window of spare time before I had to go out agai n. In this hour I managed to get a fair bit accomplished; cooked and ate dinner, cleaned my kitchen, spoke to my best friend, who had the audacity to move to Cape Town for a year in January, on Skype, and read an Edith Wharton ghost story. I’ve been wanting to get started on the Virago edition of Edith Wharton’s ghost stories for a while. I bought it during Simon’s Sensation Season back in 2009 (doesn’t that seem so long ago already?!) 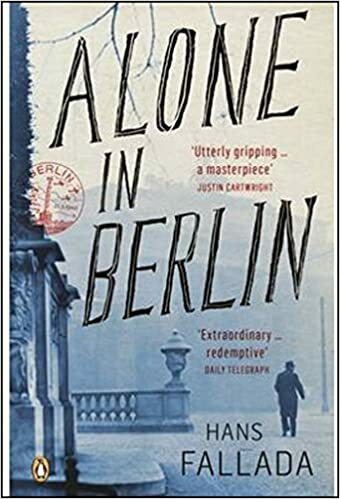 but as I don’t like to read short stories all in one go, and I didn’t want to make it a book I read on my commute, the only chance I would ever get to read the stories is just before bed, as I am never really at home in the evenings. I am not ashamed to say that the Point Horror books used to give me nightmares, and I slept with the light on after watching the lame BBC version of The Turn of The Screw at Christmas, so reading ghost stories before bed is not advisable for someone of my temperament. I have a highly overactive imagination, am a sensitive soul, and I sleep alone, so ghost stories are strictly for daytime reading only unless I want to have sleepless nights. So, this evening, I grabbed the chance to read one of these stories as it was the first time in ages I had time to sit and read something in the early evening rather than just before bed – plenty of distance between reading time and bedtime, so no reason to have nightmares. I read the first story in the book – The Lady’s Maid’s Bell – a classic tale of a lady’s maid going into a strange house, whispers amongst the staff of all not being quite right, mysteriously locked rooms, suspicious footsteps, a menacing male presence. I won’t go into the plot, because it’s such a short story, and a ghost story to boot, that any attempt at explanation would ruin it. It was an excellent story, and very involving, but as I neared the end, I didn’t realise the last page was the last page, and I turned it over to find no more information, and ended up thoroughly confused. This isn’t the sort of story where everything is neatly explained, and despite rereading it, I have no idea how to interpret the events. It’s driving me absolutely mad! It’s a fairly short story – it will only take about ten minutes to read. You can find it here. If anyone can spare the time to read it, and then come back and tell me what you think the story was about, I’d be most grateful! I have a vague suspicion…and would be interested to see if anyone thinks the same as me! Thanks JoAnn – I read your post and am glad I wasn’t the only one lost by the ending! I’d be interested to hear your thoughts. I’m thinking that Mrs Brympton was going to run off with Mr Ranford, and that’s why she was fully dressed – and Emma’s appearance was to try and warn them? I don’t know. At the funeral when he had a limp I thought Mr Brympton might have gone and attacked him after his wife’s death. I’m not familiar with these stories, but Edith Wharton is on my mind at the moment. I want to read The Custom of the Country. I’ll be interested to read your review of her ghost stories. Her ghost stories are supposed to be very good. After this first one though, I’m worried they’re all going to be too cryptic for a simpleton like me! I’d love to read all of her novels…but I only own this volume of stories so I’ll be reading that first. I’ll post reviews as I read them! I just love Edith Wharton and her short stories are amazing! They are so tightly written and while I haven’t read the one you mentioned yet, I’ve found the endings often pack a real punch. I love Edith Wharton too – she’s one of my favourite writers and I want to get through her entire canon at some point! I didn’t know this book existed and I recently enjoyed Age of Innocence and House of Mirth by Wharton. Oh, I must, must get this book. I love well-written ghost stories! Yes, get it, and then help me figure out what they mean! I haven’t read this yet, but I recall Danielle at A Work in Progress had a similiar reaction. I will have to read it myself. Yes, she did – I just read her post! I see you have read it and don’t have a clue either – who can help us?! Okay I’ve read it and now I want to know what that is about! I didnt know Edith Wharton had written ghost stories and I do love a good ghostly tale. I will see if I can sneakily read this at work later (ssshhhh dont tell anyone) and get back to you! Please do try Simon! It’s driving me mad! Isn’t it?! I hope they aren’t all like this because it will end up being a very frustrating book if they are! You have me laughing and yet I feel very frustrated for you! I hate it when a story leaves you feeling all disoriented about things and consumes every spare moment of peace you have. Due to Deacon and work this afternoon, I won’t manage to get the story read until this evening…R is working the evening shift and I will be all alone, aaggghhhh! It is so frustrating! I read it all alone too and was a bit disconcerted afterwards…leave the lights on!!! I look forward to your thoughts…I hope you can shed some light! I went and read it last night and I’m as confused as the rest of you!! It’s been nagging at the back of my mind ever since!! I’m sorry! Hopefully someone will come by and illuminate us all! I’m sorry I’ve made you suffer! It’s all very confusing isn’t it…there are probably multiple explanations! OOooo, so intriguing! Another Virago collection of frightening tales that I’ve been eyeing is Mrs. Gaskell’s Curious, If True. Although, like you, I have to take care to read them when feeling “safe”! Hi! Oooh I like the sound of that one! Yes, feeling ‘safe’ is key – lots of lights on! It makes as much sense as anything I could have come up with. What do you think? Oh no! I was relying on you, Darlene! That’s an interesting explanation but I’m not sure…it seems a bit too simple? I just can’t work it out! I’m in the dark as well to what that was all about. The thing I picked up on that I don’t think anyone has mentioned is that at the funeral service a red mark is mentioned on the husband’s forehead. The mark of Cain? Oooh…interesting. I noticed the mark but I wasn’t sure what it meant. That’s a very good point. There are obviously many layers in this story that need to be teased out! I’m guessing that, based on Victorian standards, the ghost of the maid was trying to prevent her mistress from taking an irrevocable, adulterous step (culminating in a “fate worse than death”) by “eloping” with the neighbor. Realizing that she could never be with the man she loved, the mistress died of love, prevented at the last by her dead maid (with the help of the one living) from destroying her immortal soul. Yes, it sounds sappy to our modern ears, but I believe that by the standards of Wharton’s day (or the day she was writing about), this would have been an accurate interpretation. That the marriage was obviously a mesalliance would not have deterred the wife from being utterly condemned for running away with another (more compatable) man. More interesting to me are the parallels between this short story and Henry James’s “The Turn of the Screw.” I wonder which one was published first. Yes…I had thought adultery had come into it, but I didn’t think of the maid’s role in the same way. Now you explain it, that does make sense. Thank you! I thought exactly the same thing about the Turn of the Screw – it was published in 1898 and Wharton’s story was published in 1902, so it’s very possible, if not likely, that Wharton had read James’ story and was influenced by it. Wow, that story was hella confusing. It certainly seemed like Emma was trying to protect Mrs. Brympton from her husband – the two times that Hartley’s bell rings, she comes to see Mrs. Brympton right when Mr. Brympton is particularly angry and resentful of Ranford. Mr. Brympton comes home confident he will find his wife canoodling with Ranford in her dressing-room, and she certainly seems to have been all set to head out and run away with Ranford. But instead he finds Emma in the dressing room. I am not sure why all the fight goes out of him upon seeing her: is the implication that he killed Emma, or just that he took sexual advantage of her while she was alive? Or both? If he killed Emma, that makes sense, and she might have been trying to get Hartley to warn Ranford that Mr. Brympton was a scary killer man and was getting suspicious of Mrs. Brympton. Aaaaa, I don’t know! I feel like any explanation that occurs to me requires me to put huge amounts of interpretation on tiny moments. Yes – I thought that Mr Brympton might have had something to do with Emma’s death too. Either that or he did her wrong in some way. All of the servants seem to be afraid of him, which suggests he is a malevolent influence. There must be something on his conscience to do with Emma otherwise he wouldn’t have reacted in the way he did to seeing her. Very Turn of the Screw, really. Yeah, I thought Mrs. Brympton died – she had a weak heart, remember – of the combined shock of Hartley’s responding to a bell she had not rung (so she suspected Emma’s ghost was around), and her husband coming home just as she was about to run off with Ranford. I couldn’t figure out the significance of Mr. Ranford leaning heavily on a stick at Mrs. Brympton’s funeral, though – it made Mr. Brympton super angry for some reason. Do you think it was just because Mr. Ranford had been made ill by the loss, and that angered Mr. Brympton? Jenny – I think Ranford was leaning on a stick because Mr Brympton went round to sort him out on the night his wife died – he had a red mark on his head too which someone else above mentioned as being the sign of Cain – a sign of murderous intent and violence, perhaps? We will probably never know. Annoying Edith Wharton and her open ended stories! 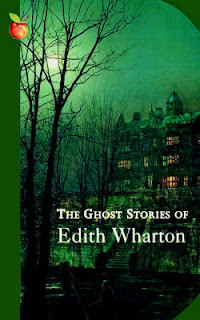 Edith Wharton is one of my very favorite authors, but somehow I’ve never managed to read her ghost stories. I need to fix that soon! Well I wouldn’t say to my satisfaction! But I am sufficiently accepting of the end I have cobbled together. I hope you find a volume of the ghost stories! Like you, when I read a scary story I’ve often had to turn on the extra light or two. Or else, call our dog to sleep beside my on the bed (before I had a husband ;). These stories sound wonderful though, and I like Edith Wharton. I’m going to keep them in mind for Carl’s RIP V which will come around this October. I’m glad I’m not the only sensitive soul! I need to get a dog, clearly! I want to get through them faster but I never seem to have time…I might have to make them my commute read after all. I’m glad you enjoyed the review! I didn’t either until I found this on amazon and had my eyes opened…though I am finding it hard to read them due to my chicken-ness! Thanks so much for coming by and commenting! Thank you for bringing this story to my attention I have liked Edith Wharton’s books ever since I read Ethan Frome. If I had not been told that it was a ghost story I may have thought that Emma was a real person that everyone ignored for some reason. I had my doubts about her being a ghost up until it was revealed that her footsteps did not make marks in the snow. I knew that Emma was trying to tell Hartley something but wasn’t sure what – I thought there was some dark secret between Ranford and Mrs Brympton – my imagination started running overtime – had they killed someone in the past – Emma? Anyway I now think like a few others that they were planning to run away and Emma was trying to forwarn her mistress. Also I couldn’t figure why the limp was significant untill someone pointed out that Mr Brympton had probably visited Ranford before the funeral. Anyway did you realise that the story had been made into a film starrring Joanna David as Alice Hartley and none other than June Brown as Emma. This completely blew my mind as I had pictured Emma as a young fair haired slip of a girl. Jacqui, thanks so much for commenting and for such interesting information – I am definitely going to be visiting those links, during the daytime though! 2) Mr. and Ms. Brympton were probably forced to marry, and it is an extremely unhappy marriage. Mr. Brympton uses her as he likes (he was doing or ready to do so the night of the first bell), as an object of pleasure as is revealed in his line at the end: “seems she’s done for me” (interpreted as a variant of “used up”). He is obviously loose with women and probably gave Ms. Brympton the disease from which she suffers–and/or she is physically abused; thus, the physician keeps the unnamed disease quiet (this was something that was improper to discuss and went unchecked). 3) The first maid was used by Mr. Brympton in a similar fashion, and probably died from the same disease Ms. Brympton has now, or was beaten to death for trying to intervene some night on Ms. Brympton’s behalf. 4) Mr. Ranford was coming the final night to see Ms. Brympton, possibly to run away with her, but Mr. Brympton caught him outside or downstairs–thus the injuries both of the men have at the end. 5) The ghost knows of the plans betweeen Ms. Brympton and Mr. Ranford, but realizes Mr. Brympton will catch them–this is why she rouses Hartley. She wakes Hartley the first night to intervene before Mr. Brympton can either beat or take unfair advantage of the ill Ms. Brympton in the night. 7) Why won’t Ms. Brympton use the bell? Perhaps the previous maid rang a bell as she was dying, to alert her mistress? She is afraid her husband will hear? Did Ms. Brympton become frustrated when the previous maid would not answer the bell, only to find that she was dead? We will be discussing this in class on Monday, and I’ll let you know what we decide. Dragonmage – your insights are fascinating, thank you! You must come back and tell me what your class thought. I’m especially intrigued by the idea of the sexually transmitted disease – that never occured to me before. Syphillis was a killer! Hello there, I hope you don’t mind me commenting on a seven year old discussion but I wanted to share some information with you that you may not be aware of. Like you (and everyone else!) I have been searching for answers about this story on the net and I came across one explanation of a small part of the puzzle that struck me as entirely convincing. When Hartley is summoned to Mrs Brympton’s room but overhears Mr Brympton remonstrating with his wife, Hartley enters via the dressing room described thus: “The dressing-room is a large room with a window over the portico that looks toward the gardens.” Later, of course, Mr Brympton is determined to enter this particular room but is prevented from doing so by the appearance of the ghost. When he sees Ranford walking with a cane at the funeral he is infuriated. The conclusion that the writer drew from these three things is that Brympton believed he would discover Ranford in the dressing room, until he was prevented from doing so, and instead Ranford made his escape out of the window injuring his leg in the jump, hence the walking stick. Brympton is therefore furious, but powerless, when he sees this apparent confirmation of his suspicion at the funeral. I hope this helps! I am completely satisfied with this explanation. Kind regards.